X-PTCBox Forum - Looks like we're sticking to our YaBB Forum..
X-PTCBox Forum › Forum Administration › Global Announcements › Looks like we're sticking to our YaBB Forum..
Looks like we're sticking to our YaBB Forum.. 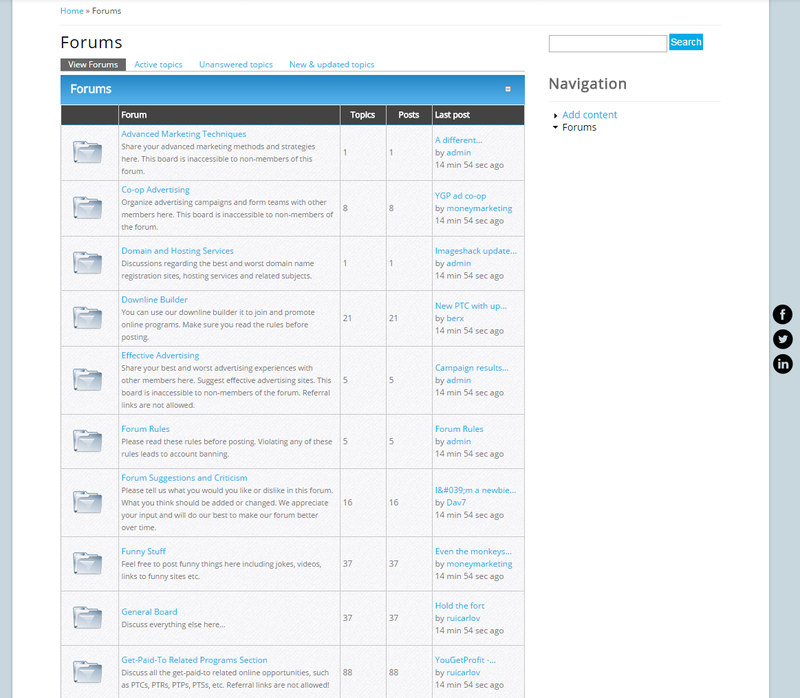 So, after weeks of trying to migrate the forum to my the new platform that will upgrade my site, Drupal, it seems that the forum will stay on the YaBB platform (the current one). However there are a lot of issues that don't seem to be fixable right now.. Etc. Private messages would have to be left behind, also bbcode is not working correctly, there are date related issues that affect the topics' sorting plus there's no way to migrate the quotes, images, smileys, signatures and a lot of other stuff..
And even if those were possible to migrate successfully, member roles, access and anti-spam settings are a real nightmare in Drupal and since time is really pressing on me lately it's impossible to deal with them for now.. So, I'll contribute all my upgrades on the migration code to the Drupal community and maybe someone else decides to pick up from where I leave it and continue to develop it to a state that we may be able to use later on..
As a result we'll be sticking to our beloved YaBB forum platform that has proven to be rock solid and stable for years now. Maybe I'll give it a face-lift but firstly I'm focusing on upgrading the rest of the site to the Drupal and breath new life to it. Re: Looks like we're sticking to our YaBB Forum.. So, I finally found the time to perform the promised forum face lift. I picked the colors to match with my new site's design and the logo was re-designed as well. The bottom banners have been removed and the top of the forum will now only hold the ones from AdHitz and BoB. Also the BoB banner will get removed at a widow width smaller than 840 pixels. And finally I've added some proper responsiveness features to our design in order for it to fit small resolutions down to 800x600. I hope you like what I've done with it. So, coming up next is the rest of the site. Just be careful, or you might end up feeling blue. The Forum looks nice. Noticed the new layout! Thanks Dan! Glad you like it!